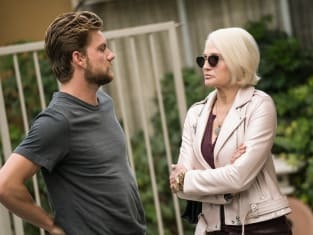 There were more questions than answers on Animal Kingdom Season 3 Episode 13, and it felt more like a penultimate episode than an actual season finale which made it a bit disappointing. Still, one thing is for sure: Smurf knows what J has been up to, and the battle lines have been drawn, at least between Smurf and J. It's unclear at this point where Pope fits into the equation. He's gone off the deep end, and we didn't see hide nor hair of his little suicide kit. 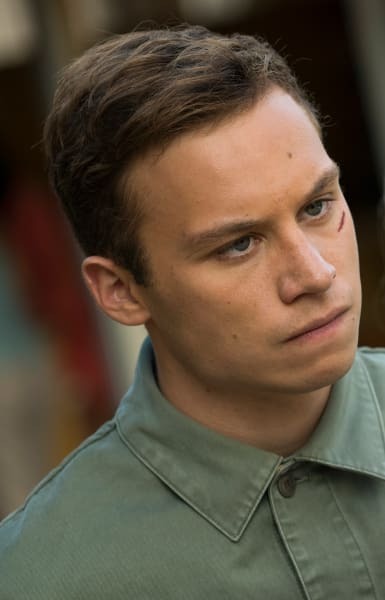 It could be that he might try to work with J to take down Smurf for everything she's done and made him do, but that's something we won't find out until Animal Kingdom Season 4. That seems like an awfully long wait, doesn't it? I always thought that J wanted to bring down Smurf to avenge the death of his mother. He could have taken the money and run, but he has other plans. While it would seem ideal for him to team up with Pope, it seems likely that all the Cody boys are in his sights. Killing his uncles one by one will bring Smurf to her knees, and when he finally kills Pope that will be the death blow. 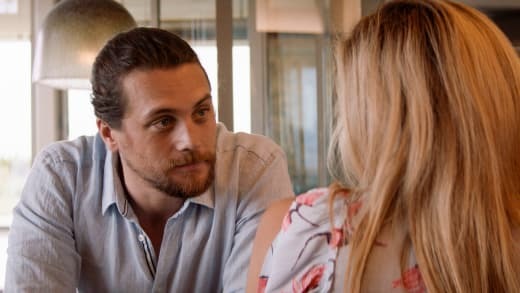 It's hard to believe that sweet and innocent J could be capable of something so horrific, but after what he did to Morgan, it shouldn't be that surprising. He's going to avenge his mother, and he's going to avenge Nicky -- the two people he loved most that the Cody family destroyed. But is he smart enough? He's lasted this long, but it's time for the big leagues. The smartest thing he can do is break off his ties with Mia because is she is bad news. She's only out for herself, but her strings are being pulled by Pete whose strings are being pulled by Smurf. There's no telling how much Mia spilled to Pete on their way to kill Lucy, but he seemed to know an awful lot about her relationship with J. Not good. Lucy getting shot was shocking, and right in front of her kid was cruel. 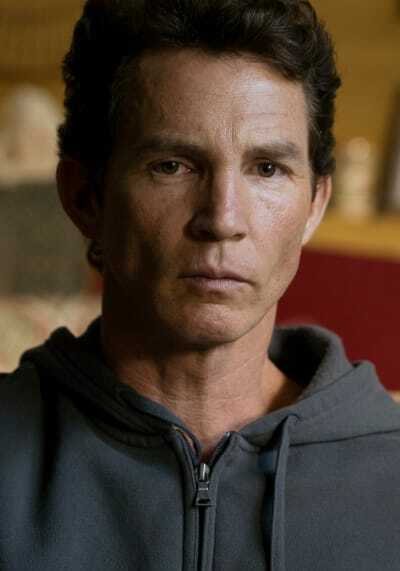 There was some talk in the comments after Smurf admitted to killing Baz on Animal Kingdom Season 3 Episode 11 that maybe she really didn't do it and only said she did because she was concerned about Pope. There is no longer any question that Smurf was behind Baz's killing. And little Mia is her personal hitwoman. Smurf knows Mia pulled the trigger on Baz, and she knows that Mia pulled the trigger on Lucy. She probably demanded that Mia be the one to do it. Pete seemed genuinely upset that Mia was involved with J, but if he didn't want her to be part of it, why did he make her kill Lucy? It makes you wonder what Smurf has on Pete that makes him so willing to do her bidding. It can't all be about money, but maybe I'm not thinking like a criminal. Whatever the reasons are, J better watch his back. It's him against the rest of the world now, and he can't afford to make any mistakes. His motto going forward needs to be "trust no one" because everyone can and probably is in Smurf's pocket. And that includes Frankie. Craig might think Frankie just took him for a ride, but she's not gone. Not yet, anyway. What would be the purpose of her just using Craig to help her steal everything in that house? I couldn't read what was written on his chest, but I thought for sure the cops were going to come knocking when he woke up, and she wasn't there. I hope they were smart enough to turn off the video surveillance because there is no way a house like that doesn't have security cameras all over. If Frankie doesn't come back, then her whole storyline was a complete waste because nothing happened to Craig other than she showed him there are bigger things out there than Smurf's jobs. Maybe that was the point. Maybe meeting Frankie was his wake up call, and he's going to do things bigger and better, but it's hard to believe when he was sitting there lapping up all that Smurf offered him. Frankie was his way out. It's too bad she screwed him over. I've said it before, but none of the Cody boys, sans J, are ever going to break away from Smurf. She is twisted and manipulative, and she knows how her boys' think. There's no hope for Pope because he can't control himself. He's going to get busted for his meltdown. The woman he got into an accident with took a video of him, and the cops will come calling when she goes to them about what happened. Why he went to the ex-girlfriend's house is anyone's guess and totally out of left field. He probably killed her because his hands didn't get bloody from taking a tire iron to that woman's car. Pope deserves better. While I get that he can't use the suicide kit on himself (thanks, Rick! ), he deserves some sort of mercy. Smurf has plans for him (killing J is probably top on the list) and will do whatever it takes to keep him semi-sane until she gets what she wants. Maybe J will have mercy on him and just put a bullet in his head while he's sleeping. Adrian running drugs is something else that came out of left field. Why does everyone have to be criminally minded? He was Deran's last hope and now that he's busted, Deran's life is going to turn upside down. I'll bet anyone that Adrian is going to divulge all sorts of Cody secrets to reduce the charges against him. But then we thought that about Nicky, too, and it didn't happen. While "The Hyenas" was a bit disappointing, it did lay the groundwork for what's sure to be an explosive Animal Kingdom Season 4. I can't wait until next summer, can you? 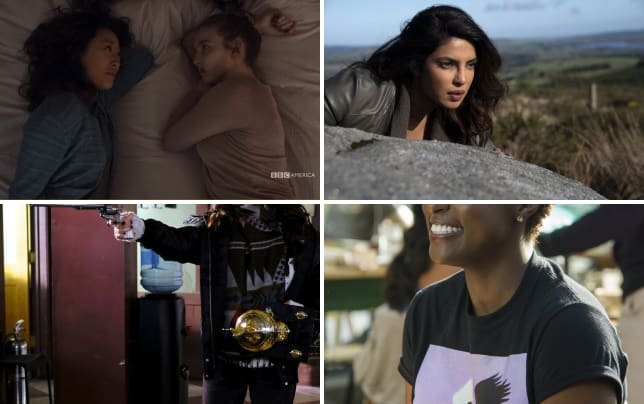 What are your thoughts on the season finale? Did the storylines make sense to you? What happened to Frankie? Do you like how Adrian's story unfolded? Are you tired of Mia? What's next for Pope? Is Smurf already setting up the Pope and J showdown? Will J be able to fight Smurf and his uncles? If you need to catch up, you can watch Animal Kingdom online right here via TV Fanatic.